Deaffest had the pleasure of interviewing Richard Griffiths, the Patron of Deaffest, earlier this week at Savoy Theatre where he has been performing in The Sunshine Boys alongside Danny DeVito. Richard Griffiths is a highly regarded British actor of both stage and film. Some of his most well known roles are that of Uncle Monty in Withnail & I and Uncle Vernon in the Harry Potter films. He grew up with Deaf parents and is fluent in BSL. He spoke to the Deaffest team about his Deaf parents and shared advice for Deaf filmmakers and actors. 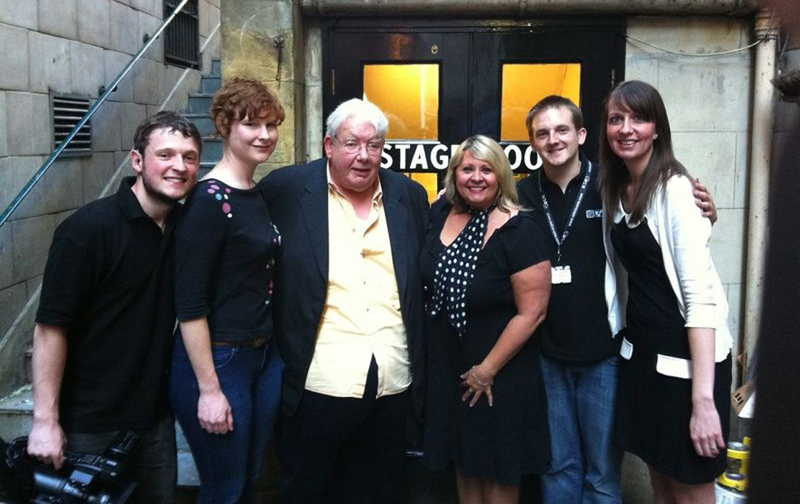 Watch this space for more details about our interview with Richard Griffiths! Posted by Deaffest on July 26, 2012 in News.